Our new shop is now open in Dunfermline for sales, repairs & servicing. Please note our unit in Bonnyrigg no longer has workshop facilities. For those that know Lew, you will be aware of the warp speed this guy is capable of flying through sections. At Singletrack Bikes there is only so much we can do to help and support young athletes and know that Lew deserves a chance to compete on the World Cup circuit again. We know he has what it takes to be at the top of the World stage and has been devoting everything to training and racing to get going for the 2014 season. He has the loan of a carbon Kona Operator capable of helping him achieve this, and with extra support from additional sponsors such as DVO Suspension he has it dialled right in and has bonded with the bike. Lew is lucky to have the backing of his family who are throwing everything they can to help Lew get to where he needs to be. However, racing is expensive business, especially internationally and as a privateer. So Lew has launched a profile on makeachamp.com where supporters can make contributions and earn a little promotion in return as a thank you. All we are trying to do at Singletrack Bikes is help provide a platform for Lewis to get back onto a factory team where he can flourish properly on the international circuit. You can read his interview with mtbfreeride.tv about his campaign, and you can also contact Lewis through his profile page on makeachamp.com. "Biggest thanks goes to my mum and dad for the continuing support. Singletrack bikes, Kona bikes, Raceface, DVO suspension, Just Riding Along custom wheels, DZR shoes, SilverfishUK "
I think I've had, at most, two short mountain bike rides in the last 6 months. So just how much fitness can someone lose in that time? I was just about to find out having entered Round 2 of the Scottish Enduro Series at Innerleithen with my new Orange Five 2014. The course was around 25km but with a bit over 1200m of climbing. I deliberated over not doing practice and hitting the course blind on Sunday as I felt I had more to lose through fitness than not getting to know the best lines. However, I decided to do the entire course on Saturday taking it very slowly on the climbs to try and keep as much in reserve as possible. 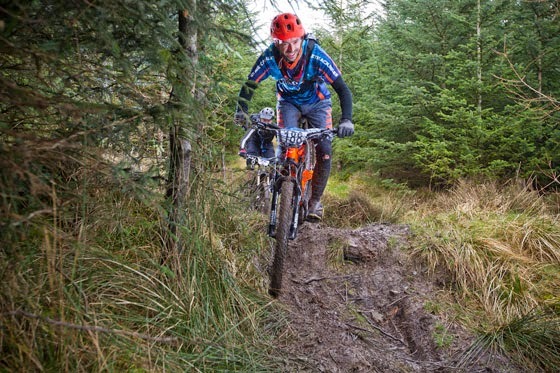 Stage 1 is part of the usual Traquair XC loop from the summit of Minch Moor at 567m which is a fast hard-packed trail, built with drainage in mind and no mud. This was a nice bit of trail to crank up the Orange Five a little and get used to the bigger wheel size. The temptation was to power out the turns but I had to keep reminding myself that I was saving the legs. The 650b wheels were rolling well, so in play mode I messed about doing manuals out of berms and getting airborne wherever I could. Stage 2 was reached after a short climb up a muddy transition and led into a natural section that was new to me. The gradient in here wasn't all that steep in places so required plenty of pedalling to get a good time. There was a bit more to challenge the rider on this stage with exposed roots and tighter turns. Just as you thought this one was over you had another climb up a fireroad for about 500m before dropping into a real fun section called 'mince baby mince'. A bit steeper than the previous section you could get the speed up quickly, and the biggest challenge here was keeping off the brakes and pumping the bike through the moguls. Stage 3 started off down a steep chute from the top fireroad and joined onto one of the downhill runs known as the Cresta Run, before cutting off through some new sections. Here there were some nice lines, one of which had an exit point off a berm between a couple of tight trees to get a better entry on to the short bridleway climb. Keeping as much momentum as possible through here would definitely help get you up this bit. The end of this stage was not far from here with another sprint up the fireroad dropping back onto one of the familiar downhill trails and cutting off onto an old bridleway for another sprint to the finish. Stage 4 had to be the most enjoyable stage of the course heading down a proper National Championship downhill track right from the start. Skirting the side of the quarry you cross the fireroad and down the 'tunnel' section where you can really let rip. Pick up as much speed here as you dare to clear the step down and then keep left to take the high line, jumping the roots as close to the tree as you can to keep it tight and fast. After a few berms and jumps on the 'luge' section you have the option to jump the ditch onto the fireroad to make the turn shorter or keep left and take the slightly longer way round. After the short sprint along the fireroad, you head down sharp into a steep section where gravity decided how fast you went, regardless of how hard you pulled the brakes. Here you just had to keep the bike pointing in the right direction and ride it out to the bridleway at the bottom. Stage 5 had a similar start to stage 3 with a steep chute followed by a sharp right hand turn at its foot. Where this stage differed from the rest was how claggy and soup-like the mud was. It clung to the front mudguard and tyre, stopping the front wheel from turning easily if you didn't have good clearance. It was almost impossible not to dab a foot, which then caused clip in pedals to clog up, making it difficult to get clipped back in, and resulted in some comical legs out sliding saddle bouncing action. By now any sense of flow and rhythm was long gone and for once the fireroad was a welcome sight. Here the fireroad relief was short lived as it turned out to be a long slog for what seemed like half a mile with a choked up bike, and an extra few lbs of mud in weight. The last bit headed down the Caddon Bank descent where you have to spin hard to get a fast time, if you still had anything left in those legs. The strategy for me today was similar to yesterday, to take it slow on the transitions to keep as much energy for the stages as possible. During the climb up to the top of Minch Moor it was noticeably windier than the previous day and with a constant drizzle. At least most of the climb would be done in the relative shelter of the trees until you reach the moor at the top. The misty drizzle on the summit was travelling horizontally, but the queue for the start of the first stage wasn't bad thanks to the allocated start times for the climb up. This was just as well because it got cold very quickly up there in that wind. Off the start line the wind helped propel me towards the first hairpin where it then became a headwind until the next hairpin. I was down Stage 1 but without pushing on I could tell my legs were done in from the previous day, and the climb back up today. I gave the top of Stage 2 as much pedalling as I could and hit the fireroad climb, already gasping, where I was passed by another rider. The next half of Stage 2 started off well but my quad muscles were burning, making it difficult to stay composed for long. I stalled most of the turns and technique was out the window. This is the moment I realised just how much fitness I'd lost. The rest of the day went on through a haze of fatigue, but eating well and often was keeping me together..... just! I hit the one line through a section that I wanted to hit on Stage 3 which gave me a little mental lift. It's funny how a little psychology change can also release a bit of energy and it put me in a good frame of mind for Stage 4. On the steep section I found myself getting down it slowly but controlled, until I heard another rider behind catching up on me, clearly going faster and without the means to be able to slow down. Finding a bit to let him past almost cost me my first over the bars spill of the day, but somehow I managed to hold it, and gave just enough room for him to go sliding past. Stage 5 went past with riders all over the track left right and centre. I got through it, albeit painfully slowly. I finished 62nd in the Masters category with a stage time of 34m 48s, and team mate Fraser Watson did well for his first Enduro race finishing 28th in the Masters with a stage total of 30m 1s. It was time to ditch some of the mud from bike and body, so a dip in the River Tweed was called for. The water was cold but not unbearably so and the muscles enjoyed the therapy. I finished way down in the list of results, but with a great sense of satisfaction having had such a long break from the bike. The Orange Five was flawless all weekend and I'm definitely converted to 27.5" wheels. Thanks to the Scottish Enduro Series for the motivation fix! Hats off to everybody that took part at the weekend, and especially to the organisers and marshalls who were out on a cold hill all weekend to show us a good time. Check out some of the head cam footage from Ben Cathro of Sick Skills showing us how it should be done. Ben Cathro // Scottish Enduro Series Round 2 // Innerleithen 2014 - Stage Highlights from SickSkillsMTB on Vimeo. Check out the full list of Results from the Roots and Rain website. Events photos by Ian Linton and Malcolm Porter on Roots and Rain. 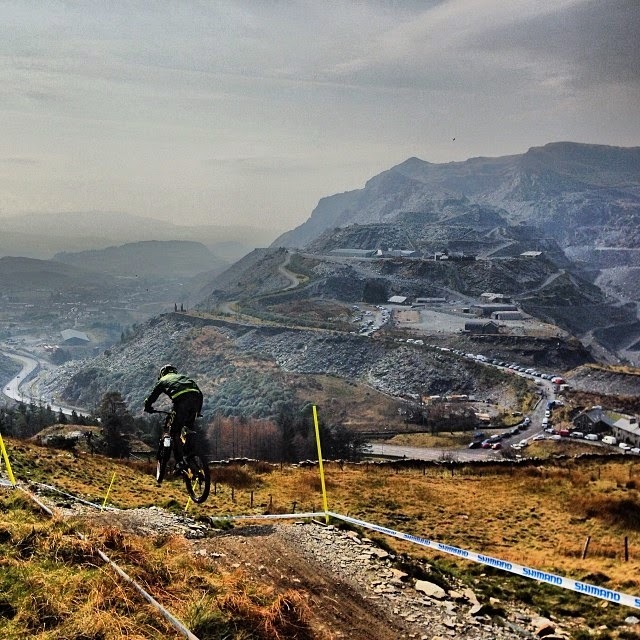 We arrived at Antur Stiniog on the Friday evening with plenty time for a track walk. First impressions were really good and the excitement had started to build. 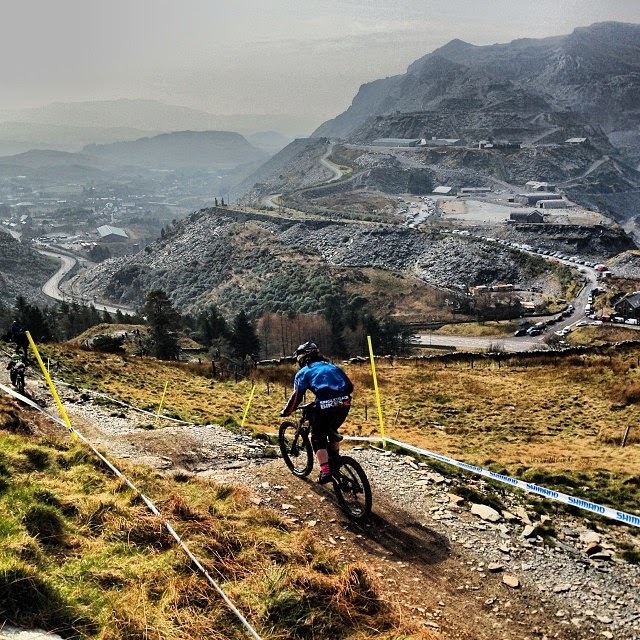 The venue is set in the middle of one of the worlds biggest slate mines with a stunning backdrop framing everywhere you looked. The track walk revealed one impressive track, although with it being completely in the open, things could get interesting if it was windy. It was pretty windy on the Friday that's for sure. We figured out a few key areas that would make or break your race run with one being near the end before entering the only section in the trees. It isn't a technical corner, just one where you need to get the speed right. If you stall in the middle of it you're in bother for the short uphill onto a flat section before the finish. Keep your momentum through this and you can gain a faster sprint to the finish line without having to work hard to regain the speed lost in that turn. Gavin Taylor handling the tough course like a boss! The top starts off with a few blind drops into turns, followed by a gnarly looking drop off which proved to be a spectator hot spot. A few tight hairpin turns then spat you out onto some jumps and the speed trap section. This fast bit of the track then takes a slight left with a compression that you can use to get the speed down for the tight right hander. Then it's a hop to hit a faster line across a rock on a right hander before crossing a bridge, then a step-up onto a right hand turn before dropping off what seemed like a sheer cliff face.... hang on, it was a sheer cliff face. It was maybe around 10ft by the time you land on the downslope and continue into the last section consisting of double jumps and berms. A few beers later and it was Saturday morning. Practice day! The team headed up the hill in the uplift motors, and Dave walked up the track with the cameras to catch some of the action. It had been raining hard during the night and while not a particularly muddy course, the rocks at the top were getting covered in mud making it very slippy. It took the team a few runs to feel comfortable with most not getting to grips with the course until race day. This seemed to be the same for just about everybody. So many riders were crashing attempting the first major obstacle on the course, a huck drop onto rocks while setting up for the next corner on landing. This part seemed to be psyching many out with time spent mustering up the confidence to pop off it. Further down the wind made it hard to hit the jumps safely at speed and you could tell riders were getting frustrated by the days challenges. On Saturday night we headed into town to watch the Steve Peat movie, 'Won't back down'. As expected, it was an Epic film of all proportions and a good inspirational end to practice day. It had stopped raining and the track was starting to dry out, but the riders were still struggling for grip in places during morning practice. Come the afternoon the track was getting faster as it dried out and grip improved massively. This was clear to see as everybody looked pinned! Unfortunately Shane Craig (Senior Men) has a big stack at the first drop off and came down on his head pretty hard during his seeding run. Being a bit dazed Shane made the sensible decision and didn't race. Hope you are feeling better Shane! Now with the 1st round under everyone's belt we all go home buzzing and looking forward to the next one. Massive thanks to Kona for supporting our race team for the 2014 season. The bikes are running sweet as a nut. Catch you all at Round 2! 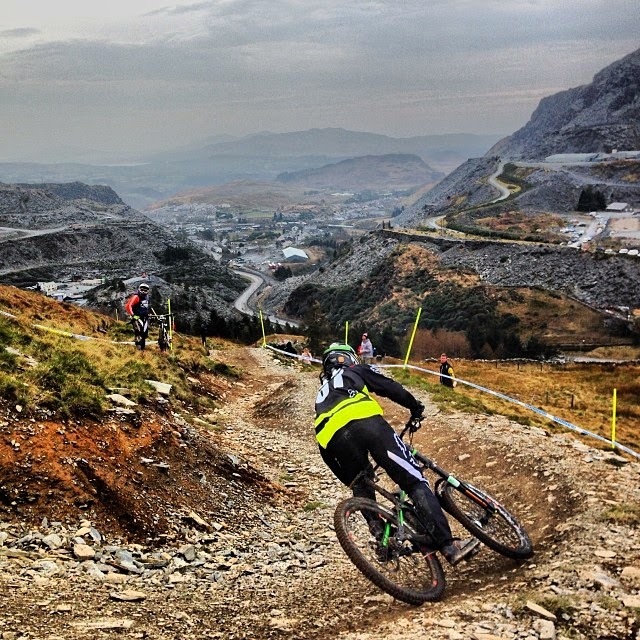 We have our final line up for the 2014 Downhill Team which we are proud to present to you. Kona have helped us out massively and most of our riders are on the new highly desirable Kona Operator. Another super appreciated helping hand this year is the mutual support partnership with Sick Skills Mountain Bike Coaching run by the legendary Ben Cathro. 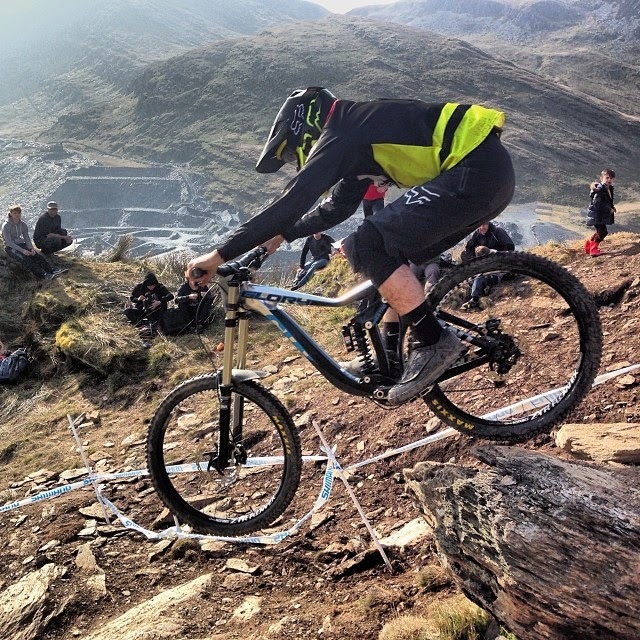 We will be doing all the BDS and SDA rounds with Antur Stiniog in North Wales kicking off this weekend. 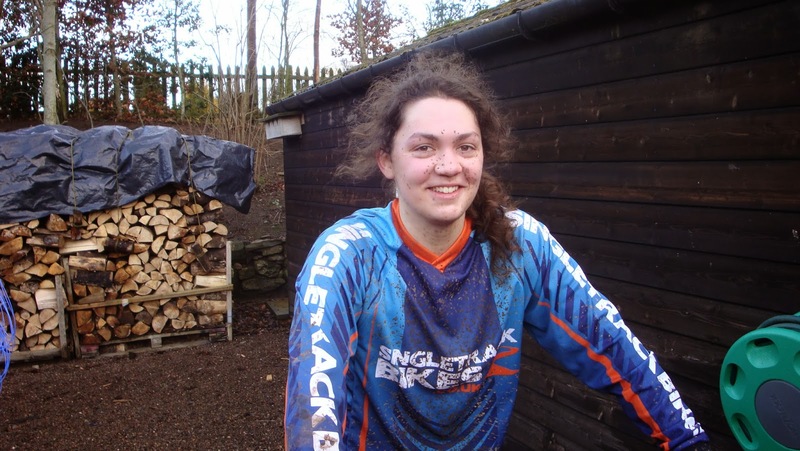 "I have been interested in biking for as long as I can remember, however on watching a national points series downhill race at Innerleithen, I was amazed at the skills and speeds of the top riders, regardless of the conditions. I was instantly hooked and still am. My ultimate goal is to compete directly with such high level riders and I have committed most of my free time to this sport. My brother is also a keen rider and we compete against each other, whilst also building on each other’s strengths. My personal objective is to be classed in the expert category by 2015 and Elite by 2017, and at least one world cup by 2017." "I have always been interested in sport, in particular fast-paced action sports. When I first started downhill racing I admired the top achievers in my category and now, only a few years later, I am competing against them, and racing alongside some of the best riders in the field. Having my brother competing with me spurs on my competitive spirit and pushes us both to try and place ahead of the other one. Having achieved a few strong results this year I am looking positively towards my last few races of the season and to next season. As a junior I was ranked in the top 10 in the UK before a crash which put me out of action for almost a year. 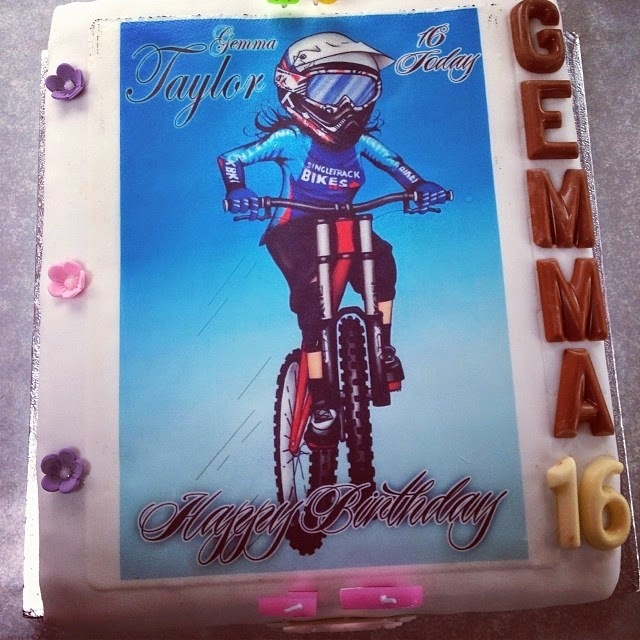 As well as my riding skills, I am very proactive in promoting my sponsors through means such as social network sites, blogs and general word of mouth. My objectives are to be promoted into the Expert category by 2015, to gain entry to a world cup event for 2016 and to be promoted to an Elite rider in 2017." 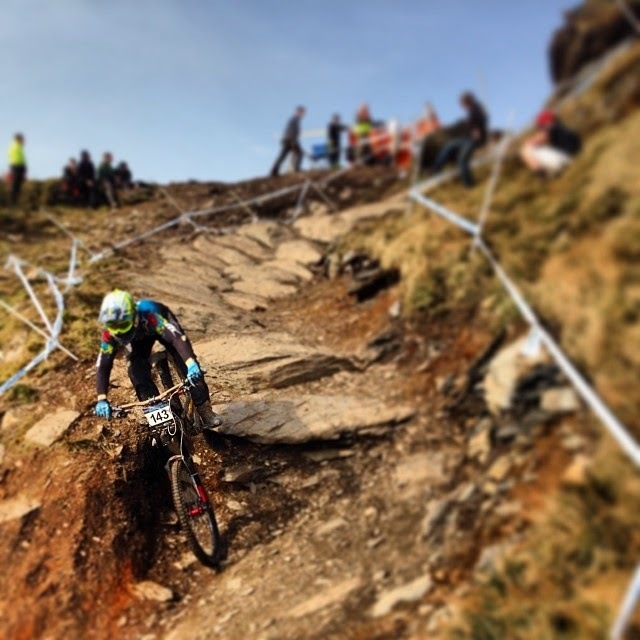 "I have been competing in downhill mountain bike races for at least three years. I love the thrill, the adrenaline, the mental focus, the locations and the people that I meet. 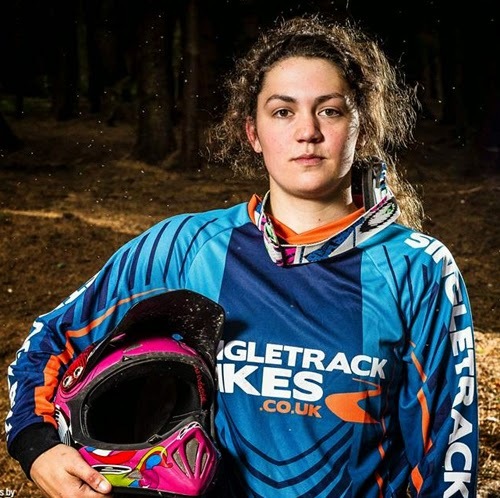 I am currently completing the Base Downhill course at Borders College in Galashiels and I have never felt stronger or more ready and determined to excel in this sport. I was elected student of the year in the sports department and I am proud to be currently ranked 1st Senior women's, as well as Scottish Champion 2013. I am already well known in the race circuit for achieving podium positions and promoting the sponsors’ support. I was awarded a scholarship by Jayfest in 2013 as the most promising rider. I have a lot to offer my sponsors, including my energy and focus on achievement. Unfortunately my 2013 race season was cut short by injury, however I intend to be back strongly by March 2014 to help the team achieve podium positions." 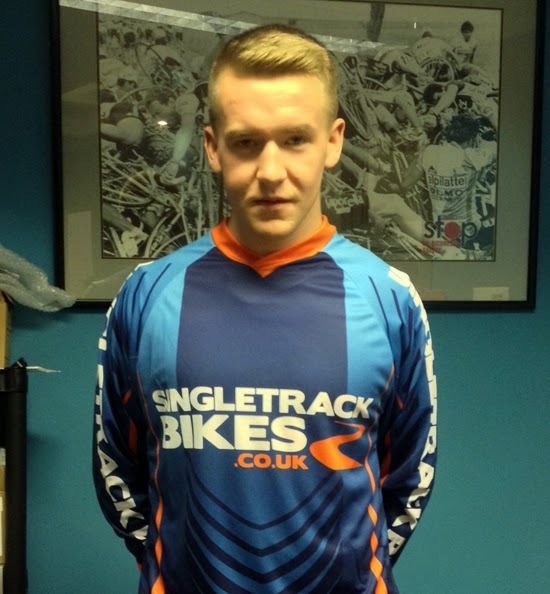 "It is a privilege to be part of the Singletrack Bikes race team. I was introduced to downhill biking by some of the Singletrack Bikes race team members a few years ago and I have learnt to love it. My development was affected by a serious injury, which has only recently been addressed, however my biking career is now ready for re-launch. In order to reach my goals I intend to receive as much coaching as possible, both from professionals but also from shared experiences with the other team members. My focus is on Regional races and Scottish Champs, to allow a graded development, and progress onwards from a firm base." "I became interested in cycling at quite a young age and have now developed a real hunger to compete. I pride myself on being socially active and promoting those who are helping me reach my goals. I owe a lot to my mum, dad and sister as without them I wouldn't have been able achieve what I have so far. My plans for next year are to place in the top 5 in Britain and hopefully manage to win a medal at National Champs. To help me achieve these goals I will be training really hard throughout the off season, on both my cross country, and my downhill, bike. My ultimate goal is to reach the elite category, however I still have another 5 years until I am eligible to be considered." 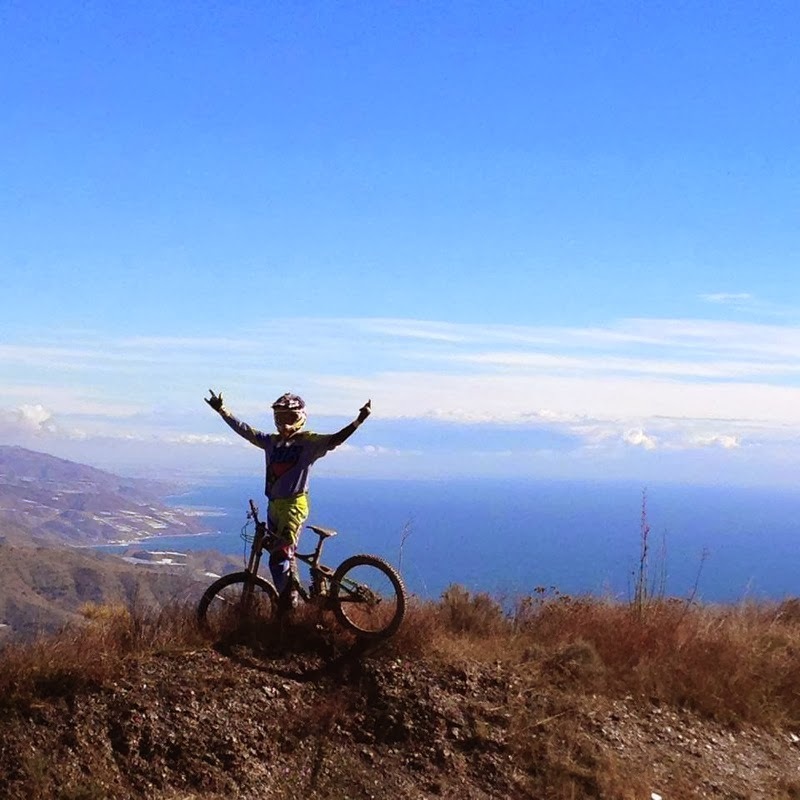 "My interest in downhill mountain biking started because of my dad. Now I am hooked and I can’t wait for the 2014 race season so that I can see if I can achieve all my goals. Having my brother at races helps me a lot as I have someone who I can train with and who pushes me to my limits. In 2014 I aim to work on my consistency and hope that this will help me in obtaining good results. I am a very social and outgoing person and am good at promoting brands through general word of mouth and also social medial." 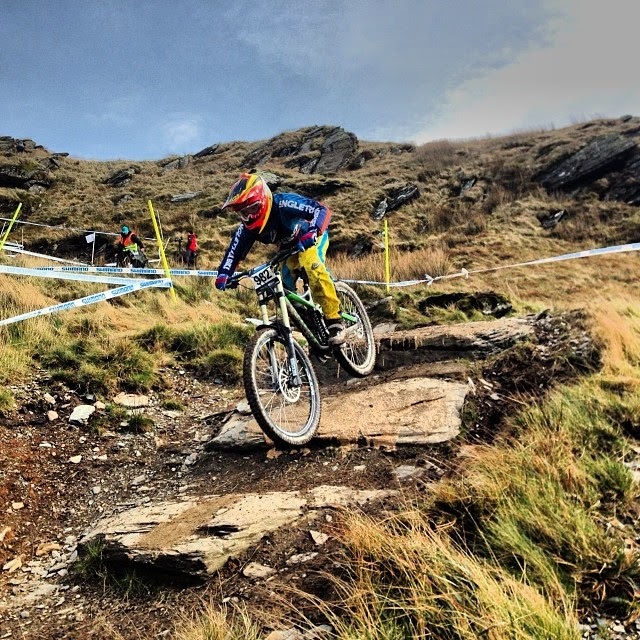 "I enjoy cycling and the challenge of downhill racing. I started downhill racing looking up to the top riders in my category and now after my first competitive race season I am competing amongst them. Watching the top riders in the world inspires me to be the best that I can be in this sport and has helped my progression as a competitive racer and as a rider. I am a naturally competitive person and each race builds my confidence and ability to push harder and faster. Having achieved strong results this year I have a positive outlook on next season. My ultimate goal is to enter the world cup circuit and to be in a position to race all over the world. I am passionately committed to this sport and I will do whatever it takes to reach my ultimate goal." "Although I’m an outgoing person and enjoy a laugh, when it comes to racing I'm very competitive and always strive to do my best. 2013 has not been my strongest year, however my focus and performance improved towards the tail end of the season. This has only made me more hungry to do well next year. My ambition is to race a world cup and with the help and support of the Singletrack Bikes’ team I believe this could happen soon. I will be training hard over the winter with Mark Scott, enduro rider, and I am going to Malaga a couple weeks before the race season here kicks off to get a solid 2 weeks riding the bike, doing full runs and timing, preparing for the race season. I can’t wait!" With numerous UK Youth and Junior National and Scottish Championships titles, not to mention a few top 15 results from the World Cup Series through 2010 to 2012, Lewis has experienced many highs of his career so far. An accident at World Cup Round 2 last year created a new low point as it brought his 2013 season to a premature end with a broken leg. So we had a few words with Lew about how he has dealt with the whole situation, and it is of no surprise that he has sharpened himself up into the best shape he has ever been in. STB: Tell us about the bike you are riding this year. How does it feel to ride? Lew: This is my first time riding a carbon DH bike & first time on a Kona. Already I feel super comfortable on it, and I have not done much testing on it yet as far as suspension goes. That will begin at the start of March so when the season kicks off I will be ready to go. But overall I feel like the bike is right for me and can get the job done. STB: So you have a factory stock bike, what changes have you made on it to get it dialled? Lew: There are quite a lot of changes I have made to my Carbon Operator. Cockpit set up is all RaceFace bars & stem with Formula brakes. I am running DVO Suspension which I’m really happy about and working with them will be great. I am running Industry Nine wheels as well but like I said come the start of march I will begin proper testing and get my bike 100% dialled in. STB: Does it feel better or worse being back on 26" wheels? Lew: To be honest I try and avoid all the chat about 26” vs 27.5” as I know a lot of people have different opinions. I feel more comfortable being back on 26” just purely because that's' what I have rode ever since I was 10 years old and I am used to it. So yes for me its a positive being back on 26”. STB: Your injury was obviously a set back last season but you have done well in your recovery. Do you think it has made you a stronger rider than you were before? Lew: I think it has made me mentally stronger for sure. After dislocating my shoulder way back in 2011 that was the biggest injury I had to deal with up to that point in my career. That was a tough one to get back on track from as I basically raced myself back in to shape. 2013 was kicking off just perfect until I broke my leg at round 2 of the World Cup series. It was a major bummer for me as I worked super hard to make 2013 a great year & a lot of people don’t know how much crap I’ve been through to really get back on track. When I knew that my season was over I still worked super hard on my recovery to make sure I could come in to my off season training for this year100% healthy and a tad earlier than the others who had been racing all year long. I have made the right moves/decisions and this is the healthiest I have been since 2010, so it's been a good learning curve to be honest. I just won’t give up till I achieve what I know I’m capable off. STB: So there is no big factory team this year. It must be hard going being a privateer. Apart from the Singletrack Bikes / Kona deal, what support are you getting for the coming year? Lew: That is correct…no factory deal for me this season. It's been a lot of work to try piece something together but we got there in the end. It's my first time being a privateer since 2009 & its a lot of work for me but my dad more importantly. I am lucky enough to get support from DVO Suspension, SDG, Raceface, Atlas Brace, DZR Shoes, CycleFixwashington, Formula, Ethirteen, Industry nine Wheels. Without these guys I would not have a race bike and shout out to Dave at Singletrack Bikes for hooking me up with the Kona Carbon Operator and believing in me! STB: Tell us a little about your preseason testing with the Scottish team. That must have been a great feeling riding abroad again? 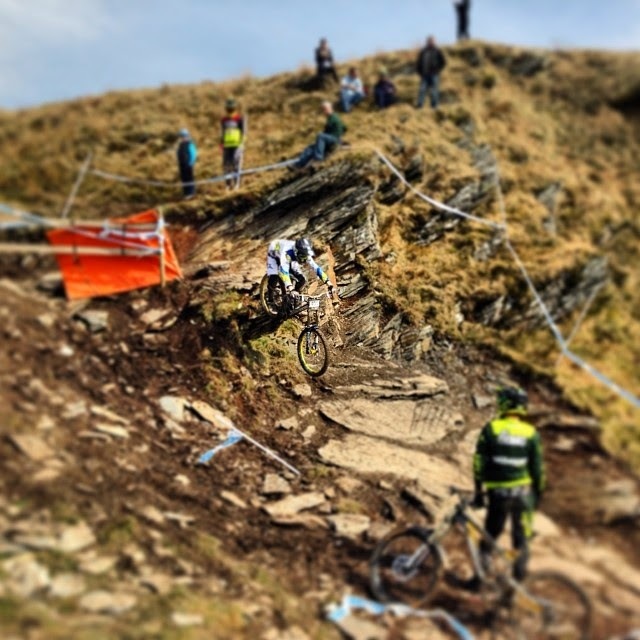 Lew: To be back on the Scottish cycling DH squad is a big deal for me. My coach Chris Ball is hands down one of the most knowledgeable guys in the Downhill Cycling industry & I have had great success with him in the past. He knows what he is doing and is for sure pointing me in the right direction in every way possible. My conditioning coach Kenny has been super helpful and I am in a really good position right now with the correct people I need surrounding me to make it happen. 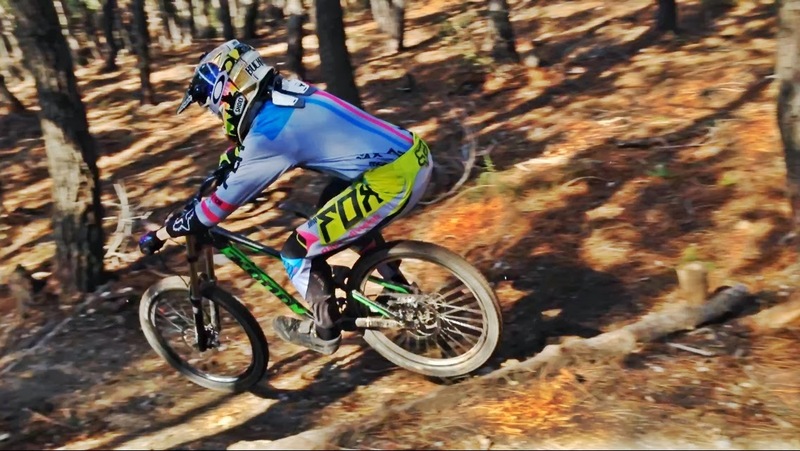 Myself & the team went to Spain for our second 4 day team camp focusing on DH and it was great to ride some rough terrain & really get to grips with the new bike. I feel fit, fast and just making the most of the support I got from these guys so I come in to the season knowing I’ve done all I can. STB: So what's the plans this year then and have you set yourself a target? 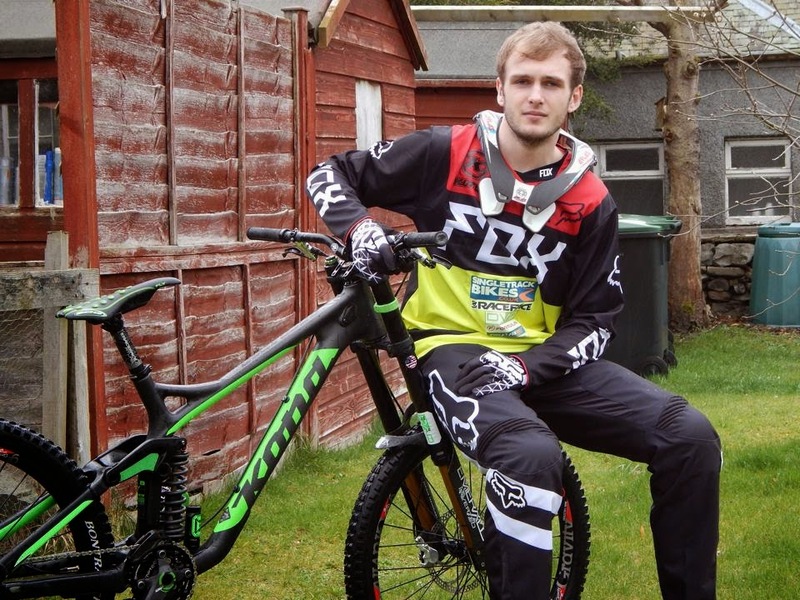 Lew: I will be racing the Full British Downhill Series & Scottish Downhill Series. 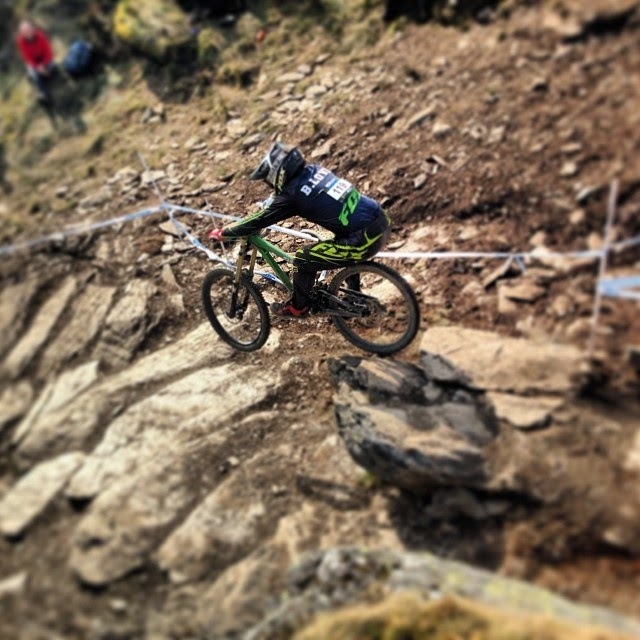 Fort William World Cup is 100% going to happen and I am going to try make it to the European World Cups. The UK National Championship Title is a big goal off mine as its in my hometown Innerleithen this year so I am excited for that. As far as my other goals I am going to keep that personal but just to make it through the whole season being consistent, competitive & healthy would be awesome. STB: What advice would you give to young riders trying to get on the World Cup circuit? Lew: My advice would be to have fun, train hard, ride as much as you can, be good with the media as that goes a long way as far as people knowing what your all about etc. I just trained hard put my head down going in to my first year junior and surrounded myself with the right people & got some of my career bests when I was only 16!! Its all up to the individual at the end of the day. "2013 was going to be a fantastic year for me, at least that was how I felt. And it was, for most of the season, with podiums at every race, and a clear leader in overall points in the UK senior womens category and of course Scottish Champ. 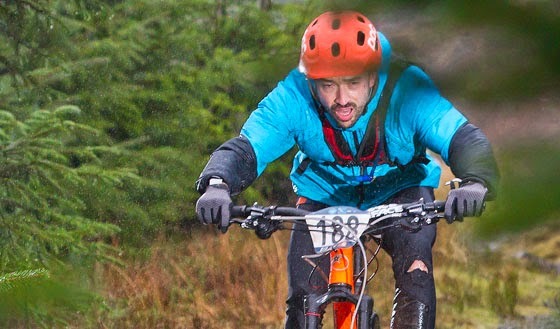 Mid way through the year I was approached at the Jayfest event at Innerleithen by Andrew and Chris Reynolds to join the new Singletrack Bikes race team, which I was more than happy to do. In a short time I felt I made a real promotional contribution to Singletrack Bikes, with help from excellent photos done by Steve Wyper, but as many of you may know, I had a fall. On a miserable day in Fort William, strong winds and rain, and the Gondola closed in the morning, Chris, Andrew and I had a training session with Ben Cathro. It was almost a no-go event, and in hindsight I wish it had been. 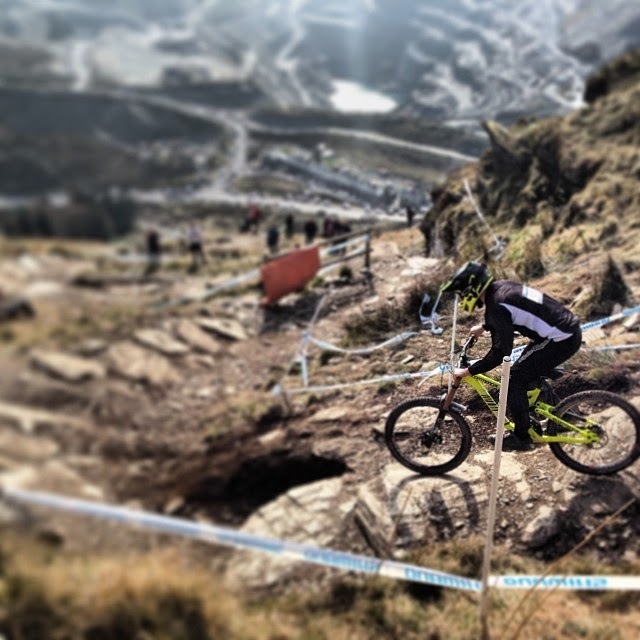 Maybe there is a lesson to learn, Fort William is unforgiving. Anyhow I fell just above the deer gate on open hill ground, waited till the medic came up from the bottom, had to walk back up, waited for the gondola to be restored due to loss of power, and then after about 5 hours of lost time, frozen and no food, straight to Fort William and then to Livingston hospital by 10 pm the same night. 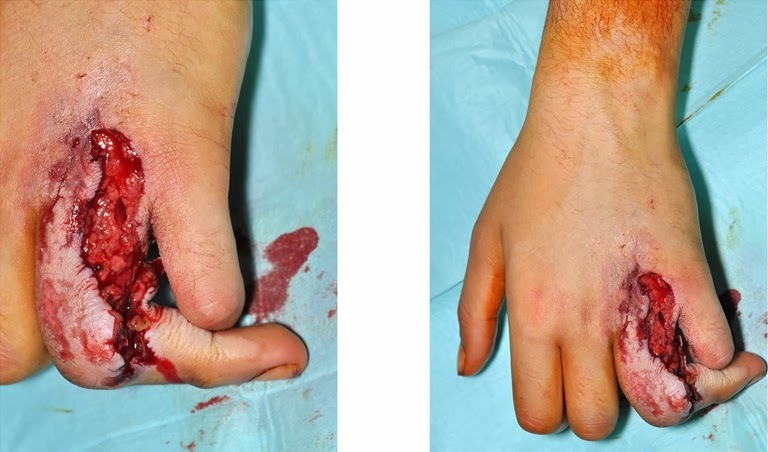 The sight of my ring finger was unearthly as it hung suspended in a stupid angle from my glove, ripped open and twisted. Yuck, see for yourself. My season was finished, and I was really concerned that so was my finger. 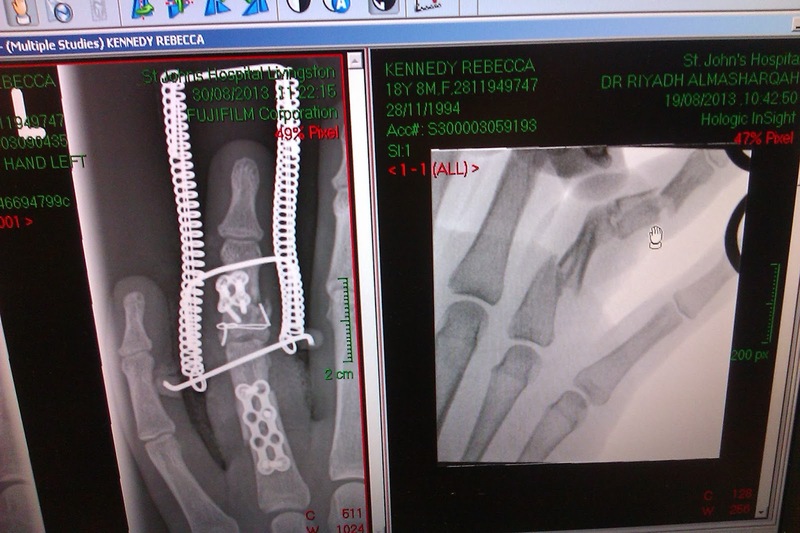 After surgery, and rebuild and now some months of recovery, I am to have a second operation to tidy things up inside and get my finger to bend, and therefore to grip again. But it doesn’t look nice, but at least I still have it. 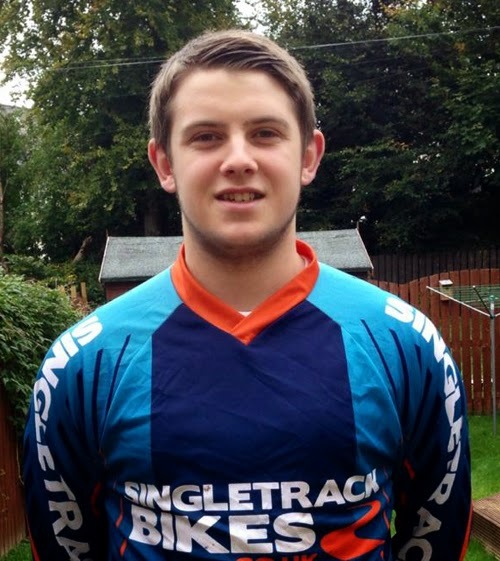 Thankfully the accident happened towards the end of the season, and I think the Singletrack Bikes race shirt was becoming very well know in the circuit, with both Andrew and Chris making good positions. But the impact is into 2014 season. It is difficult to secure personal sponsorship when you can’t “do the business”, and money is tight at home these days. I will miss out some critical early races, allowing my competitors a head start in point scoring, but it can’t be helped. All I can do is my best and hopefully make some progress in 2014 and outlast them all as I head for Europe and the world hopefully in years to come. I am absolutely determined and as strong as I will ever be. As well as the BASE downhill coaching, I go at least four times a week to the gym for three hours a time, and go out on my own on XC trips around home, and started doing core body work with Pilates, as well as two evenings in amateur boxing, a new venture to force my finger to toughen up and to bend. Great fun. Still trying to find a Yoga coach to get me to bend more. So 2014 will not be as full as I would like it to be, but I am here to stay, so not important overall. Singletrack Bikes race team represents the business, here to stay, here to grow, here to win, and here to work with the biking community. I seem to be asked for interviews lately to promote women into downhill. I love it personally, the risks are there to be faced, not to run away from, but it takes attitude and practice. Wish me well, and look at my website, that was built by Rachel Rigg to help keep me focused whilst I recover. 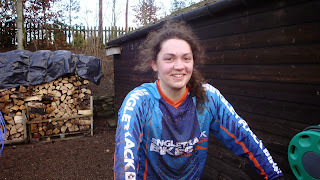 Check out Rebecca Kennedy for pictures and blogs about my three loves, Judo, Art and Design and of course downhill."